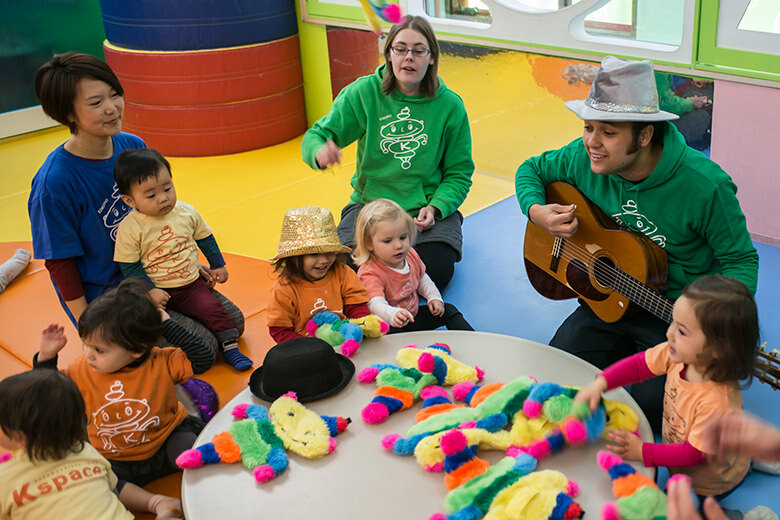 The caterpillar group is our youngest preschool class, with children aged just 14 months to 2 years. 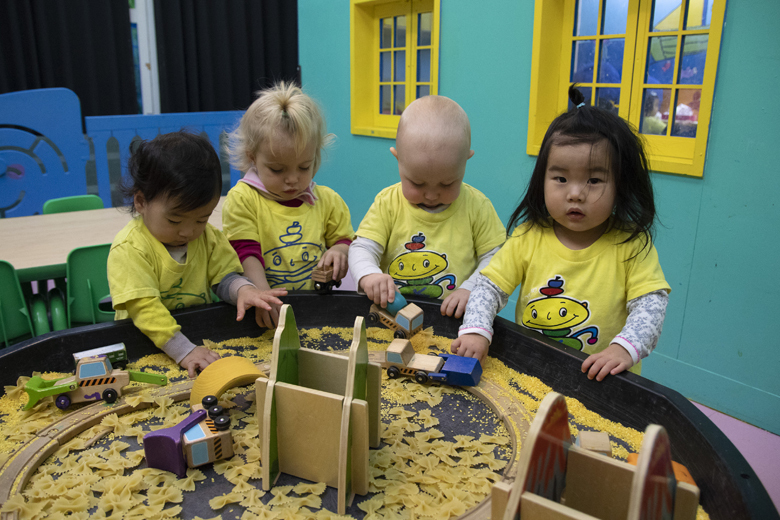 We offer your young toddler a home away from home that is filled with daily opportunities for fun, creative expression, early peer socialization, and loving care for your little one. Caterpillars join us when they are still very young and may be making the break away from mummy for the first time. We respect your child’s feelings and handle the many life changes that they are experiencing at this time with sensitivity and understanding. Caterpillars' regular school day is from 8:45am until 1:45pm. 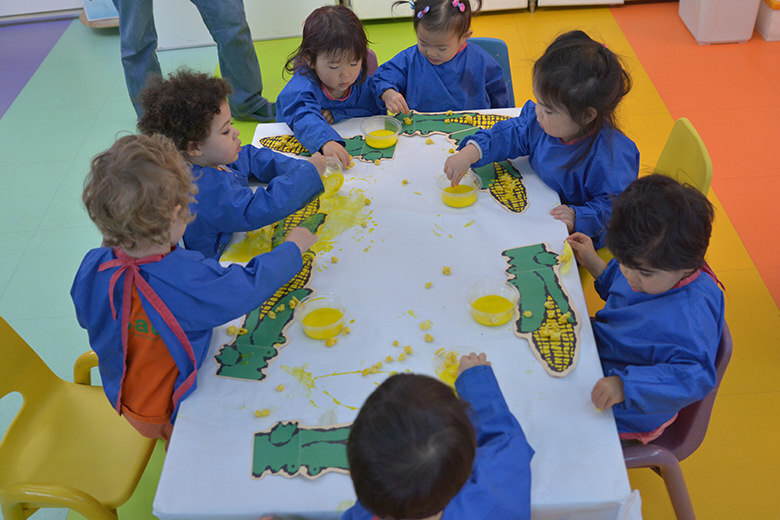 Caterpillar children enjoy the specially prepared snack and lunch menus of the school’s caterer: Kiwi Kitchen. Menu options are delicious and healthy and rotate on two week revolving schedule to ensure that the children never grow tired of their meals. The value of the bond between teacher and child is key to a child’s happiness at school. 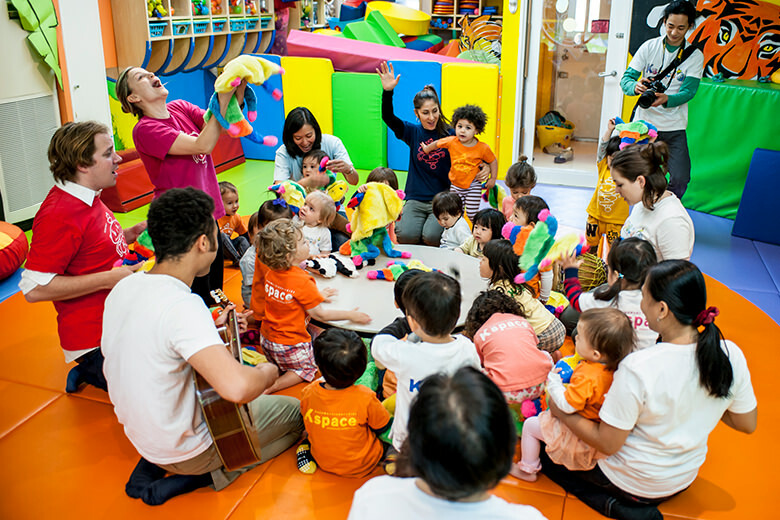 The key components of the Caterpillar class are love, attention and care and these things are only possible because of our dedicated, patient and loving teachers and staff. 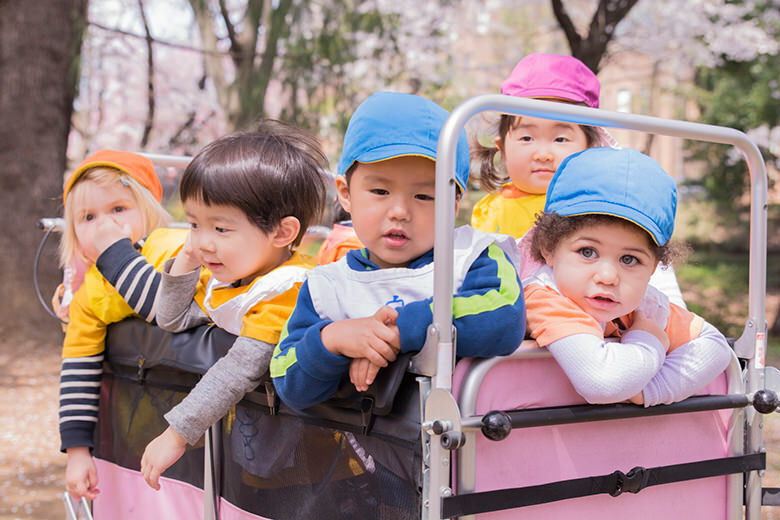 We strive for the Caterpillar class to be the first of many happy, successful educational environments in a child’s life that will result in a love of learning and an excitement to attend school! We hand pick our KSpace teachers carefully. 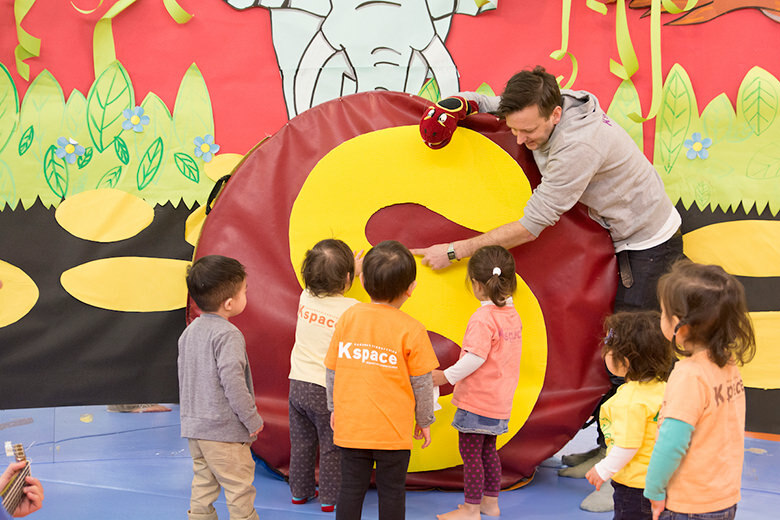 Over the years we have collaborated to bring the very best of our international experiences with children to fine tune the Caterpillar day into the successful, fun program that it is today. Our teacher to child ratio always remains at or below 1:4, with a maximum of 12 children and 3 teachers in a class on any given day. Parents get an opportunity to catch up with the teachers and pass any information that they need to. Children enjoy seeing their friends and getting ready for their day. 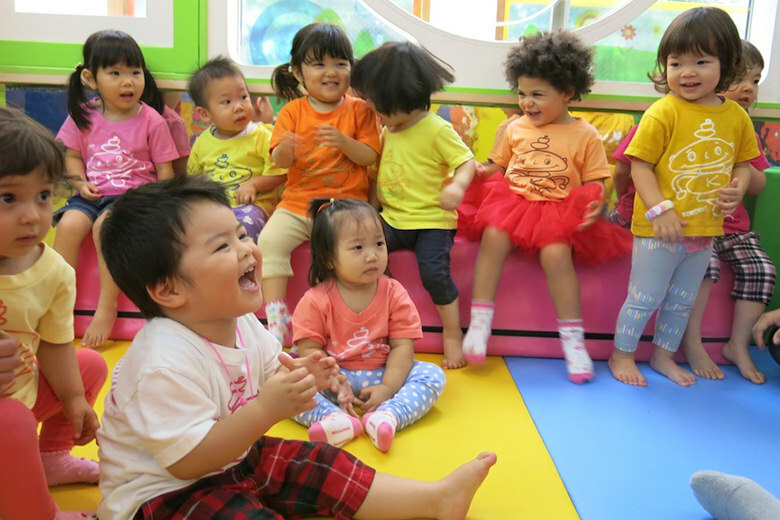 Children get the chance to join their peers and friends from the older two-year-old class. We have fabulous fun moving, stretching and dancing against a musical backdrop. 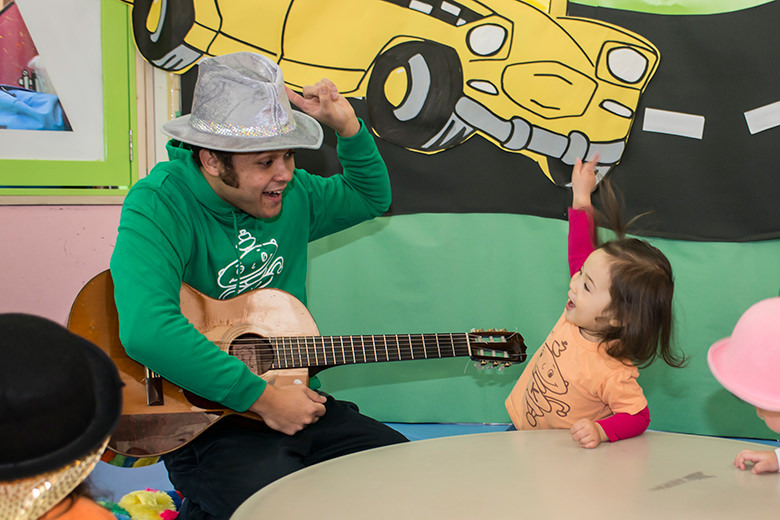 Children in Caterpillar learn and love all of our Kokomo songs, which reinforce numbers, colours, days of the week and concepts like up & down and loud & quiet. Class video’s with all the wonderful Caterpillar songs are available to help support learning at home and parents are given song lyric/ theme sheets too. 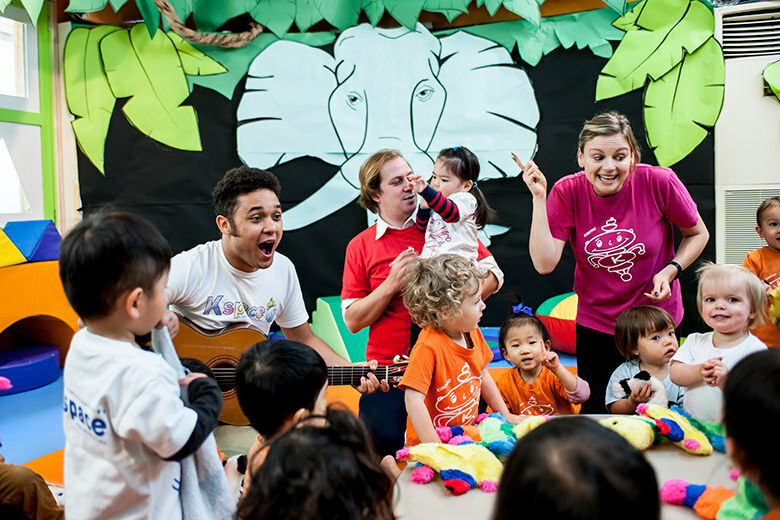 Children love to sit together and it is a great chance for us to talk about what we are going to do next and sing songs. Our caterer provides the yummy snacks! 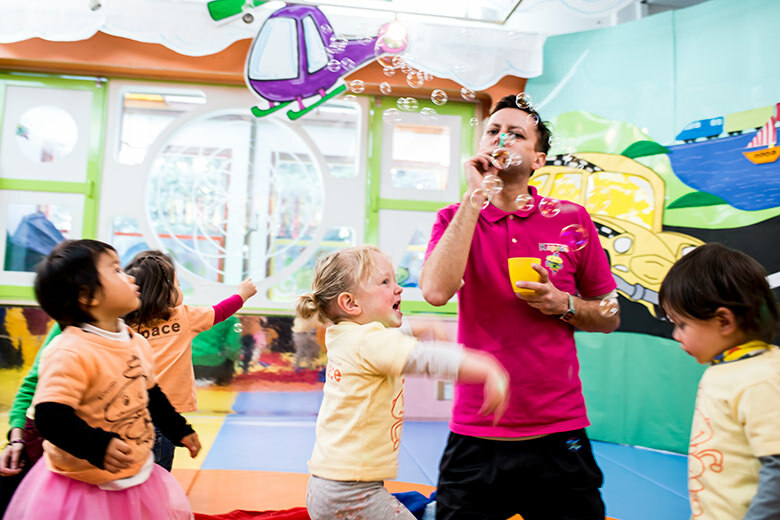 Caterpillar art is great fun and the children get completely immersed in their craft-time. 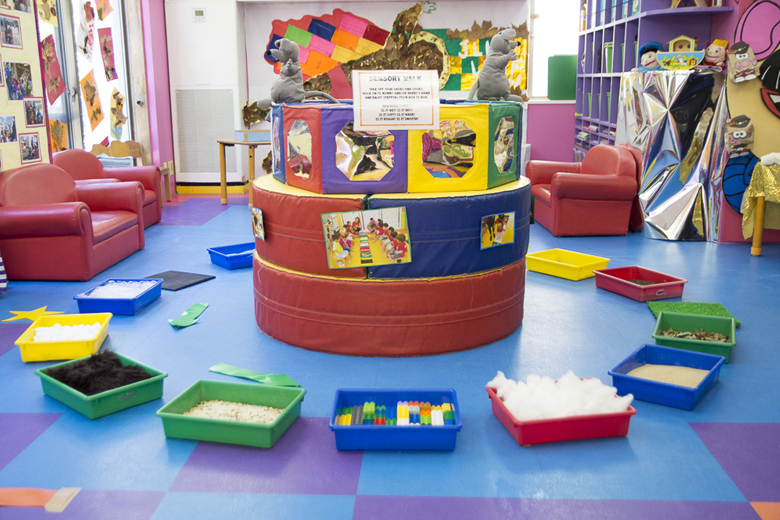 The children can really enjoy the feeling of the materials and the effects that they make. We recycle, collect natural products and use many different mediums to work from. 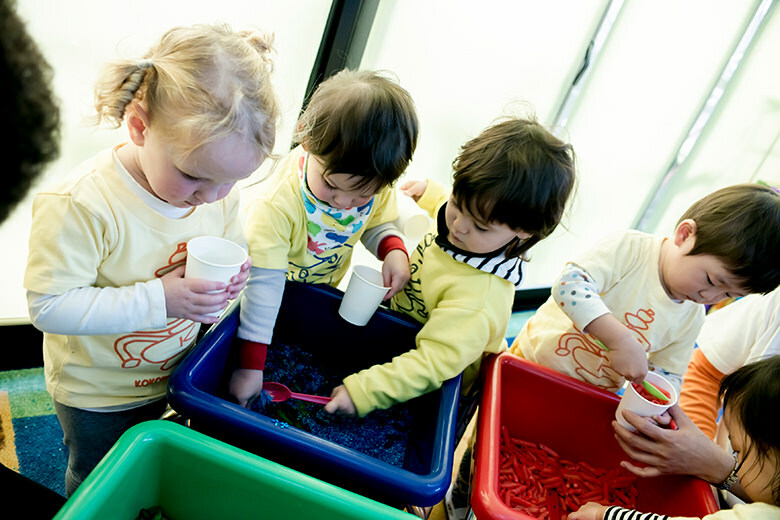 The Caterpillars experience working with paints, pastels, pencils, clay, nendo, papier-mâché and everything you can think of! 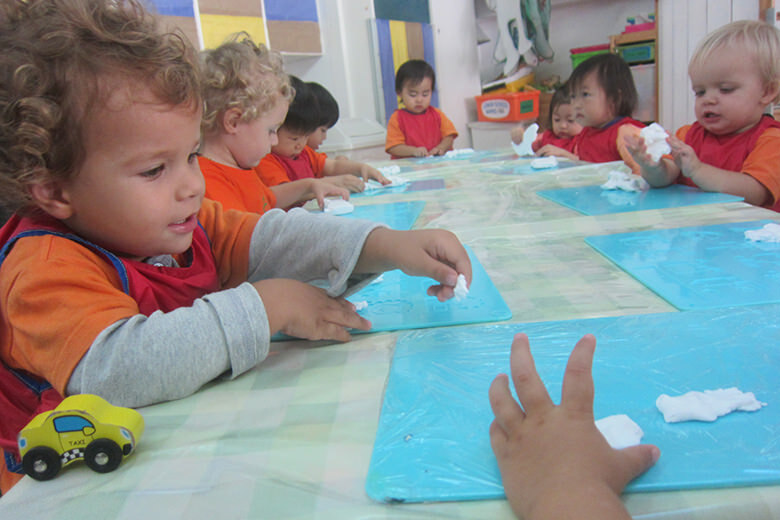 They use their hands, feet, brushes, cloths, sponges and many more age appropriate utensils. Cookery is a real pleasure for children of this age and we are sure that mummy and daddy enjoy seeing the photos on our newsletters of what we prepare, and also eating the food we occasionally send home! The children are monitored constantly for soiled nappies and we of course keep them clean and dry regardless of what stage in the day it is. 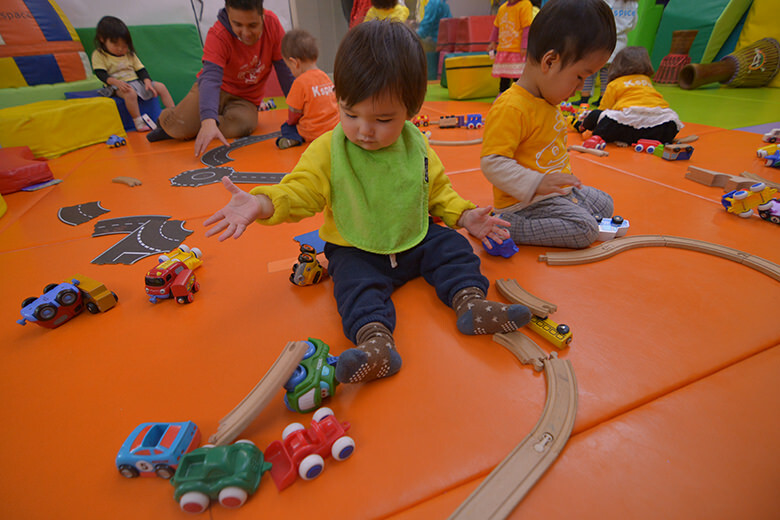 Having additional fixed nappy times helps us plan quiet activities for that timeslot and allows the children who are ready for toilet training assistance to become used to a routine. 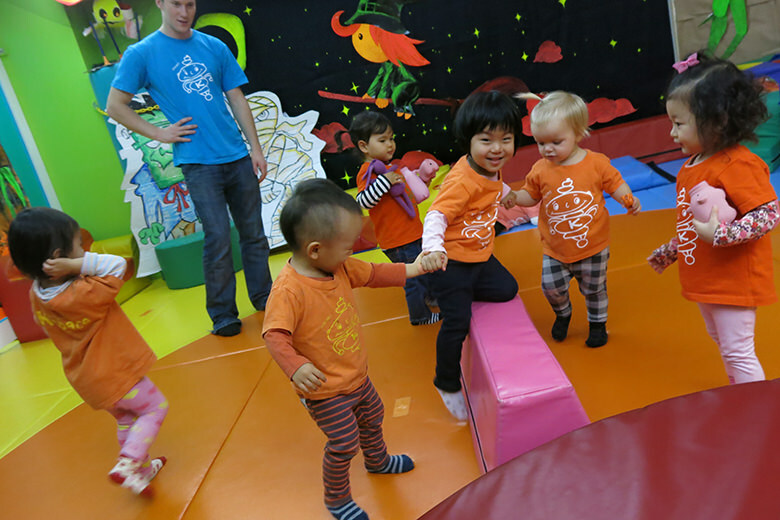 The children love to let off steam and gym time can take many forms; lots of chasing and tag games, obstacle courses with the gym equipment, as well as ball and bean bag games. 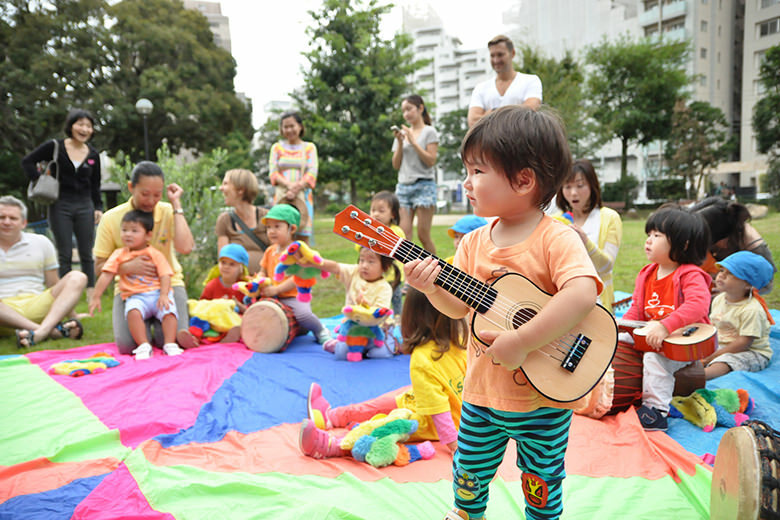 We also enjoy outdoor play. 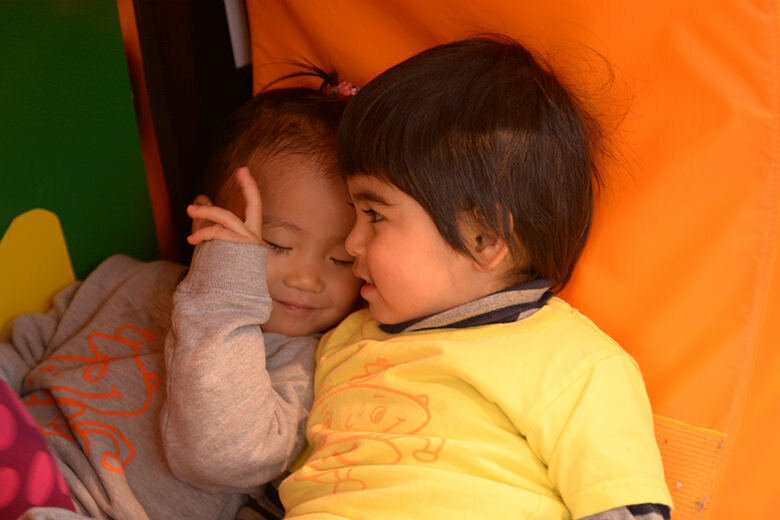 In good weather we play under our sun awning and enjoy LOTS of water play, bubbles, sand pits and other seasonal fun. Yippee it’s time for the best lunch in Tokyo! We eat deliciously healthy gourmet food, prepared by Kiwi Kitchens. (Mums and nutritionists design all of the menus!) Lunchtime is also a wonderful opportunity for us to practice our motor skills and sing our ‘Super Manners’ song! 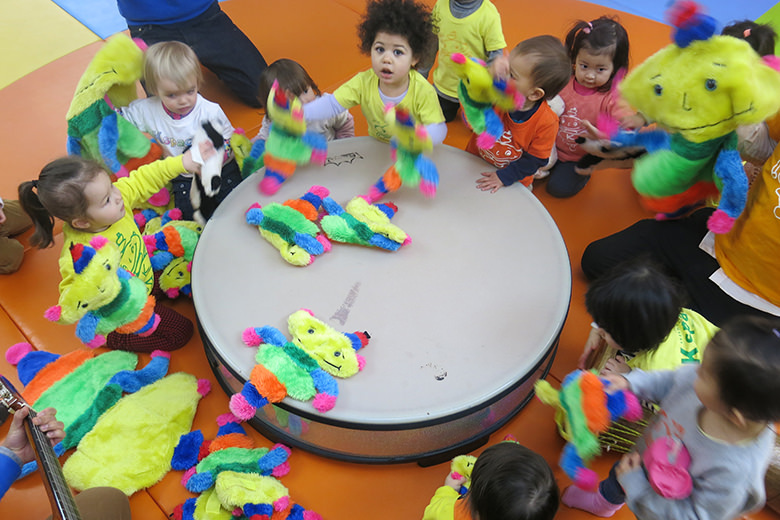 The dramatic play corner, the play dough table, the library steps and the rhythm areas are a few of the Caterpillars’ favourite ways to spend this self-exploration time. 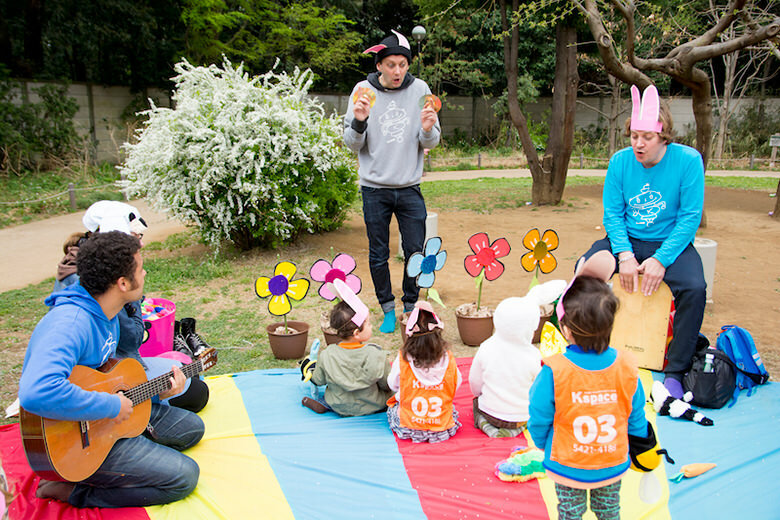 As the two-year-old Chrysalis children finish eating their lunches, the groups merge once again for music, rhythm and rhymes. 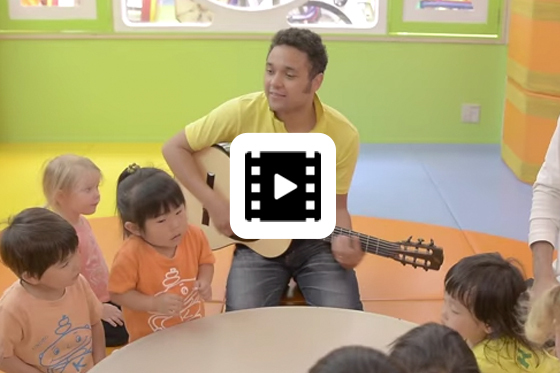 The children especially love this time when we bring out the guitars and ukulele! 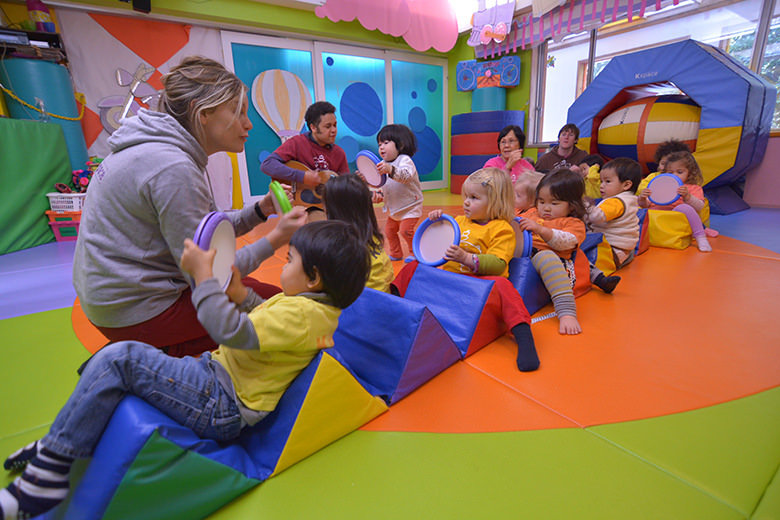 The teachers work together to provide a quiet, relaxing environment for the children to hear a few stories before nap time. Any children with particular napping routines are attended to at this time. All of the children snuggle down on their mat in the sensory room for a nice snooze after a full morning of learning and fun. Children who resist sleep will be given books to look at and encouraged to enjoy some quiet time while their friends nap. We gently wake up the children, check their nappies, and give them their small snack from home. 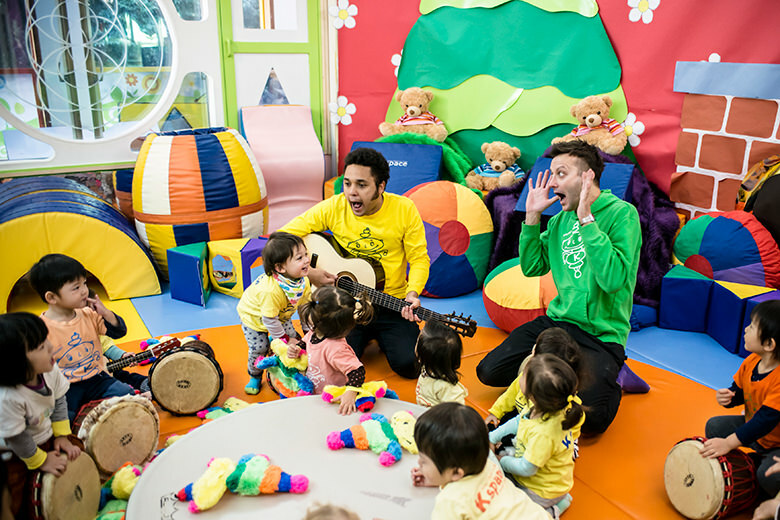 We combine two of the children's favourite things: story books and music during this time to wake up gently for a fun close to their day. We end the day with as much fun as it began, with another rendition of our favourite Kokomo songs, a review of what we did that day, and a goodbye to all of our friends! 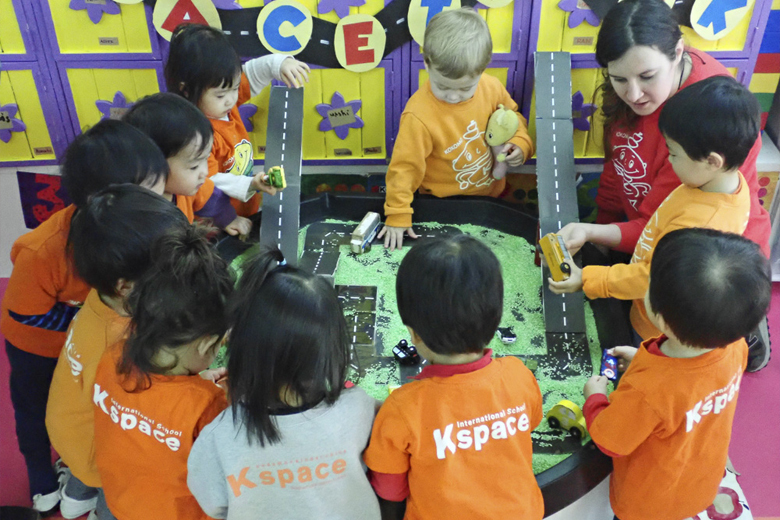 Children who are signed up for ASpace classes will transition to those classes rested and ready to have more KSpace fun! 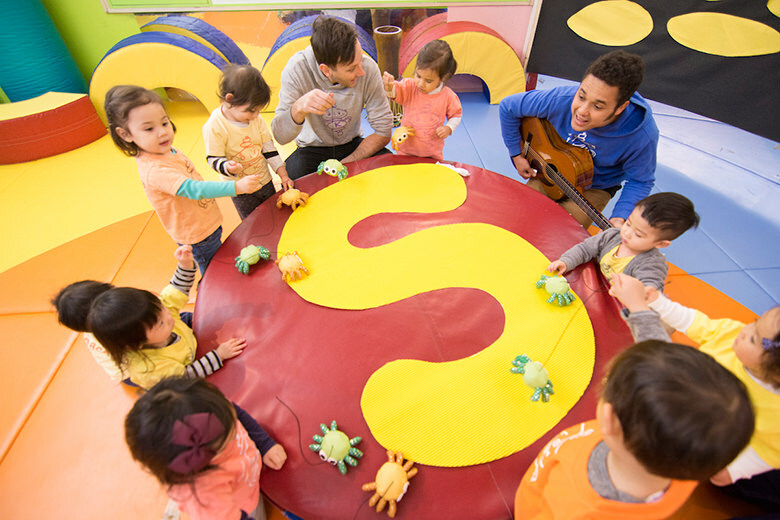 The Caterpillar Curriculum, at its core is focused on your child having a positive and fun first school experience through music, movement and art. 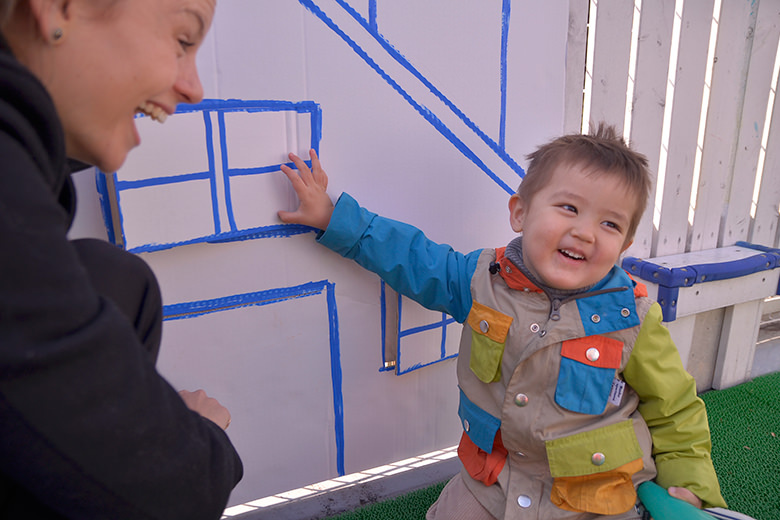 All children thrive in consistent, reliable environments where they feel secure and loved enough to explore the space around them. 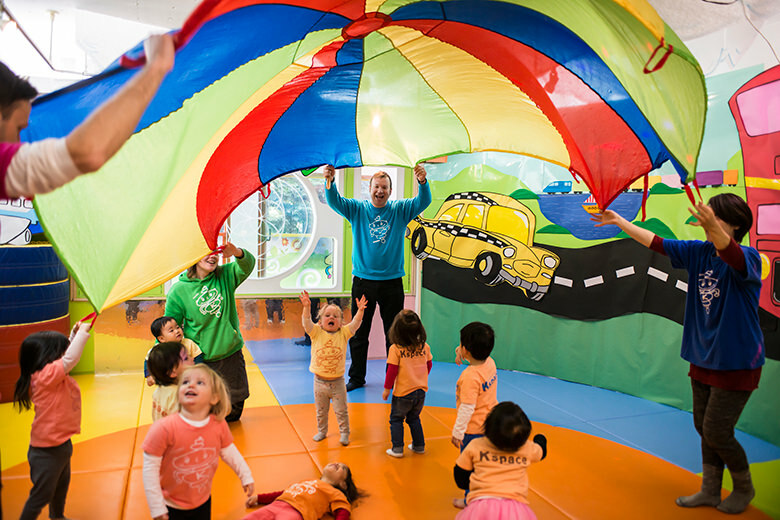 The Caterpillar teachers provide that security, while being sure that there is always a messy art project to create, a drum to beat or a ball pit to dive into the moment a child is ready. Once per term, we hold parent-teacher meetings where we formally take time to sit down and talk about all areas of your child’s development. At this time we also send home photo CDs for you to share and enjoy with your families. Teachers are available to chat about your child’s day-to-day successes and concerns daily at pick up time. Management is always available via email and our founder and director; Juliet Rogove can be contacted at enquiries@kspacetokyo.org any time. Please click on the other links to learn more about our school! We look forward to meeting you and your family soon! 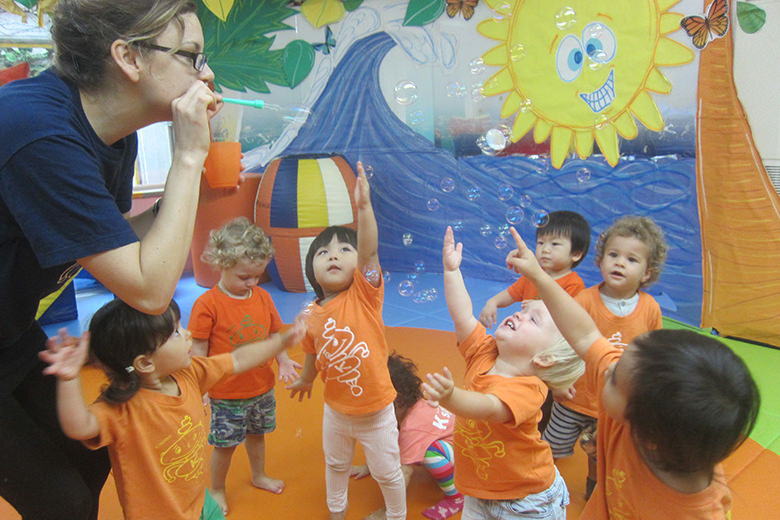 Children enter our Chrysalis class between the ages of 2 and 3 years. It may be the first time that your child has attended a child only programme, or they may be joining us having had some exposure to TSpace or other schools: Either way, we have a programme ready for them that they are going to love! Chrysalises' regular school day is from 8:45am until 1:45pm. Chrysalis children enjoy the specially prepared snack and lunch menus of the school’s caterer: Kiwi Kitchen. Menu options are delicious and healthy and rotate on two week revolving schedule to ensure that the children never grow tired of their meals. 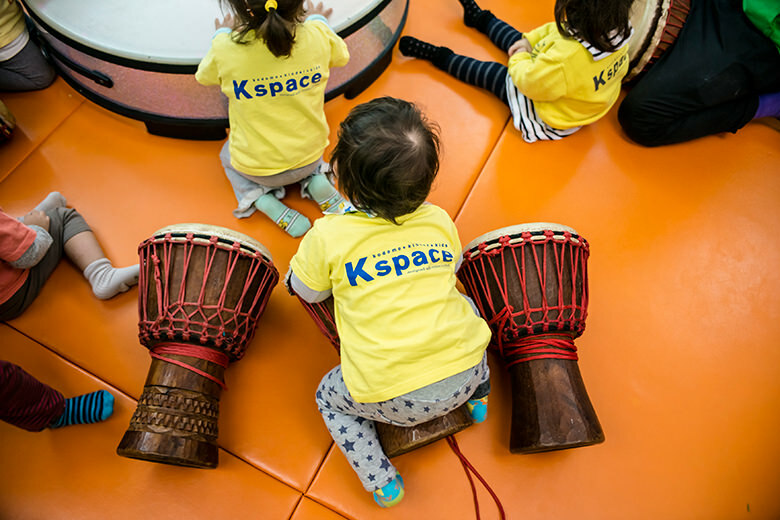 The value of the bond between a teacher and child is so important and it is one that we take very seriously at KSpace. We have hand picked our lower-school teachers carefully with your child’s needs in mind. Teachers have been selected because of their creativity, charisma, reliability, love of children, and special skills that make our program so unique! 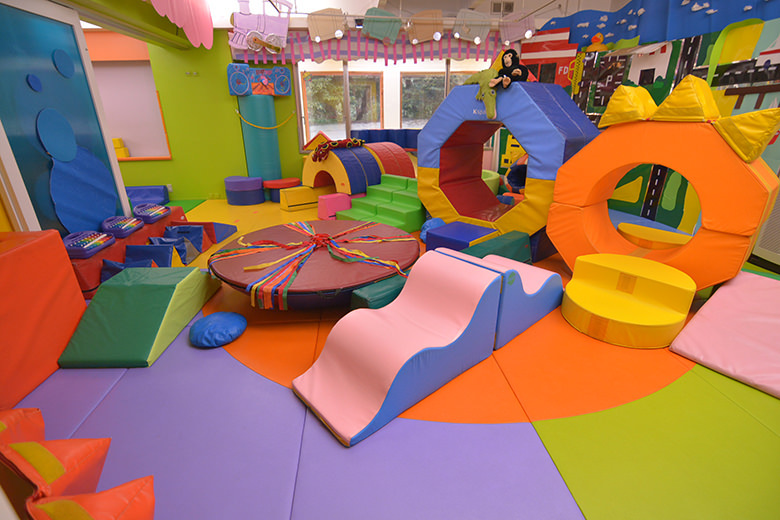 The activities, songs and art projects that are planned for the children each day revolve around the monthly theme and strive to meet one or more of the six areas of focus in the lower school curriculum: 1) Personal, Social & Emotional Development, 2) Communication, Language & Pre-Literacy, 3) Problem Solving, Reasoning & Numeracy, 4) Knowledge & Understanding of the World, 5) Physical Development, and 6) Creative Development. Each month begins a new, fun theme of focus and exploration. 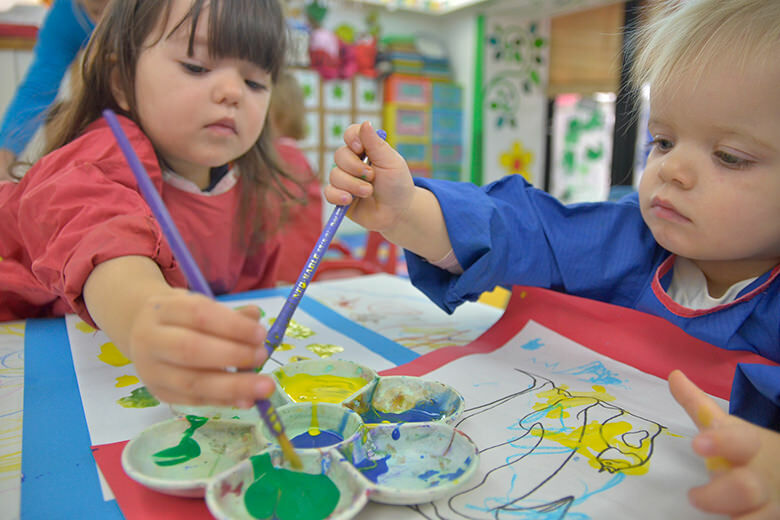 Throughout the year, children’s fine motor skills continue to develop, making it possible for them to enjoy making marks and strokes using a number of different mediums. 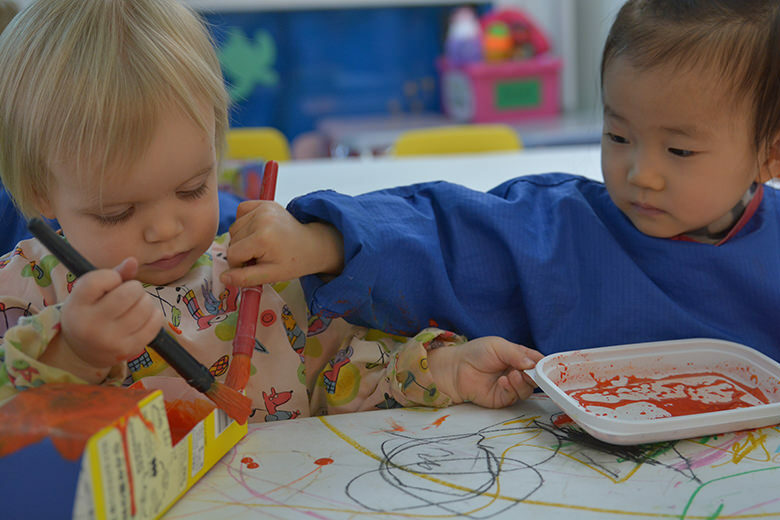 One way that we encourage fine motor development is by offering a daily art activity. At this age, the process is far more important than the product and our activities should reflect that. Children’s attention spans are expanding, making it possible to sit and attend to activities for longer stretches of time. 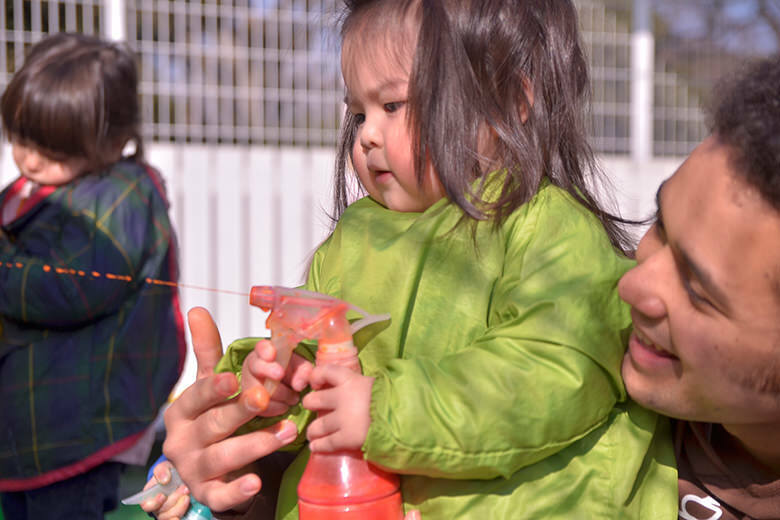 The children thrive in a positive environment and praise for new achievements help build their self-esteem. 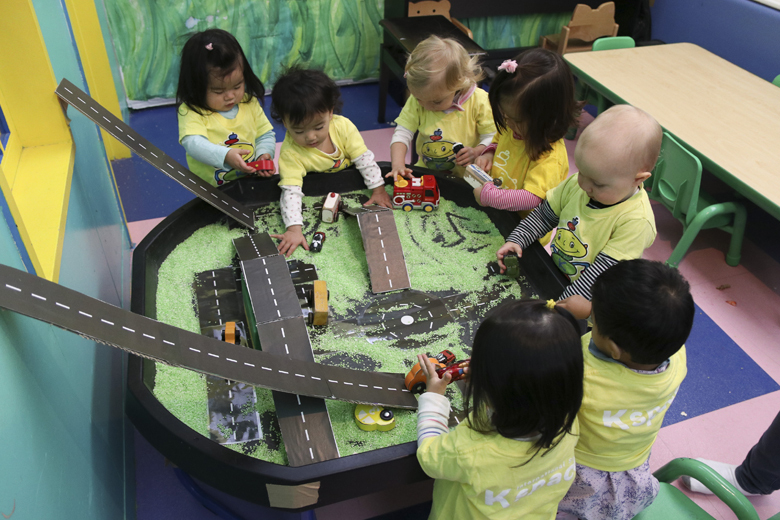 While children are learning to assert their independence, the teachers help them learn about dangers and set consistent, safe limits. The safety of your child is our #1 concern. Once per term, we also sit down with parents for student conferences. 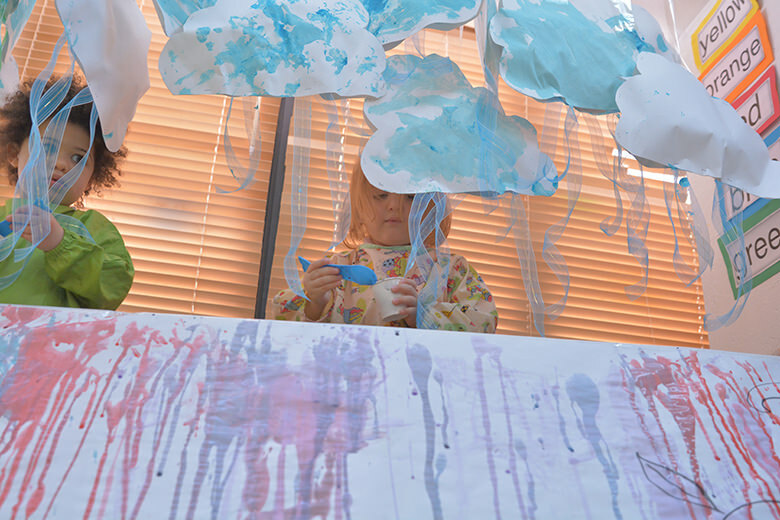 Chrysalis children receive a narrative report card of their age appropriate developmental progress as well as an oral report of progress and well being as it pertains to the six areas of focus in the lower school curriculum. Please click on the other links to learn more about our school!